and hospitality venues, historic buildings, gardens and creative arts mean it is a truly special place for both residents and visitors. 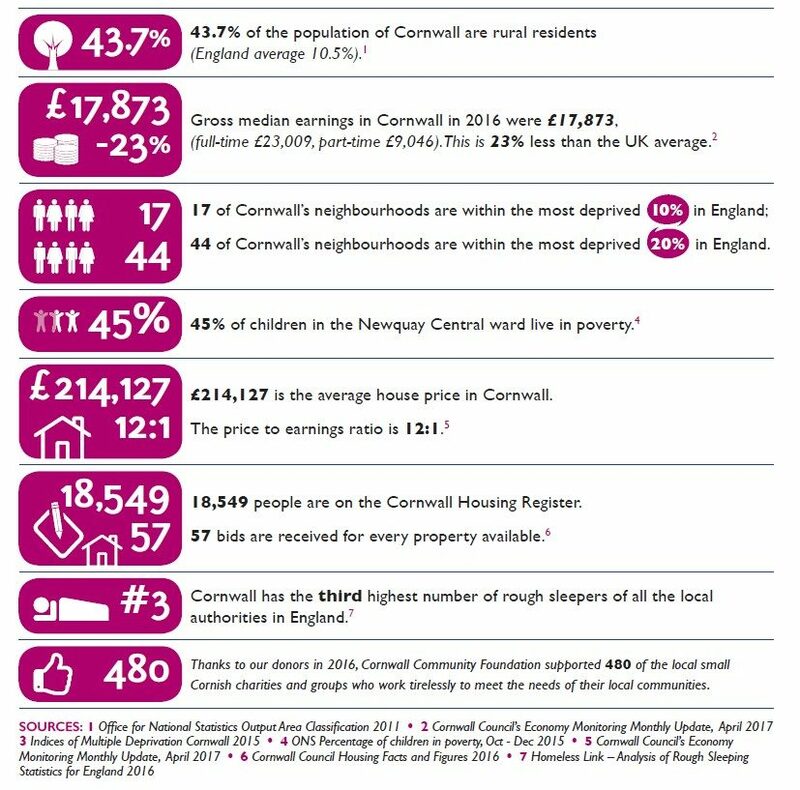 Yet the very isolation, rurality and coastal boundaries that help make Cornwall so special also exacerbate the county’s persistent poverty and deprivation. Shadowing the Cornwall we love, there is a hidden Cornwall, comprised of communities that struggle. For an assessment of the key community issues in Cornwall and how the county is doing, please click on Cornwall’s Vital Signs above.